Looking back, I remember the days of pulling into the parking lots of places I worked and dreading the entire day. I hated my outfit, I hated the weather, hated environment I was about to have to be in. I wanted nothing more than to be at home or just anywhere else but the awful place of where ever it was I was working. My goal has always been to have independence. I never worked well with someone breathing down the back of my neck. My best performance had always come when I was left alone, in complete peace, away from distractions, utter opinions, and office politics. Its’s easy to get lost with confusion in a world full of opportunities, and options; the choices are endless but what about when life is pulling you in all directions and you have no clue what you really want to do. 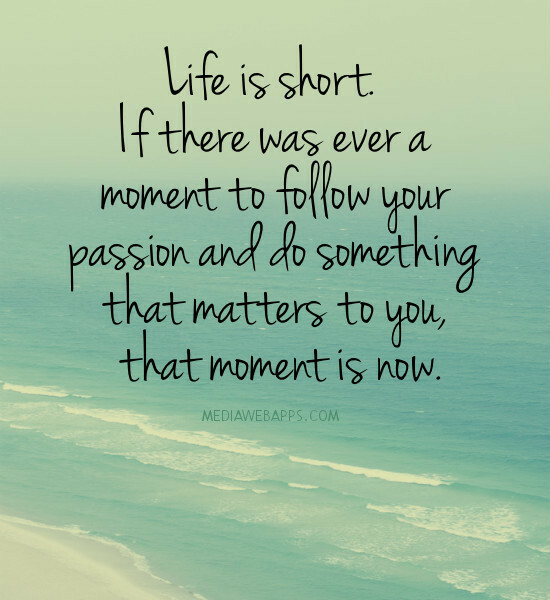 Trying to find your true passion in life can take a little work if you are unsure in this moment. While you read this I want you to first think about what makes you come alive. What lights a fire in your soul and makes you feel alive? Where does your mind go when you begin to feel at peace? What do you dream about? Whatever it is, that’s your true passion. You may be saying, “Okay great, well, how can I make a little more sense to this and nail down my passion to begin living a more fulfilling and meaningful life, you know like I see other people living but, I’m over here drowning while everyone else is busy sailing into the sunset, and being so happy. ” I got you. Here are 5 ways you find your true passion today! Stimulate your mind by reading more books. If you have access to download e-books to your computer or tablet, I recommend doing so today. There are so many benefits to reading such as, it reduces stress levels, an increase in knowledge, improves memory, improves focus and concentration, as well as, improves your analytically thinking skills. 2. Go outside and explore nature. No matter where you live. No matter what the weather is like. Step outside for a minute, and appreciate your surroundings (unless it’s hurricane season, it’s lightening and you’re considering jumping in the pool, lake or ocean; Stop right there ya little firecracker). 3. Be honest with yourself about what brings you the most joy in life. It is important to always be honest with yourself. When you think about the simple things in life that you enjoy most, embrace them. Life is very short do not be ashamed of who you are as a person. If there is something about yourself that you are unhappy with, change it. No matter what you are up against there are tools out there to help you so don’t be afraid to be honest with yourself. If there is something you want more of in your life then seek it out. Make it your mission to chase down that dream you have put on the back burner. Don’t wait. Tomorrow is not a guarantee. 4. Change your thought process and mix up your routine. It’s good to mix up your routine from time to time. This will help prevent you from begin stuck in a rut. Open your mind to other ways of thinking and practice other hobbies that you haven’t tried or done in a while. Writing will help you express yourself on paper and then look back and read your thoughts. It will help you get a lot off your chest as well as a good tool to reflect on your thoughts, and emotional standings. You may begin to see you that become more connected to your inner being by writing everything down. Make time at the end of the day to be still and write whatever is on your mind in that moment. It can be a summary of your day but if you don’t feel like doing that than just write whats on your mind (questions, quotes, ideas, humorous remarks).